Our range of Marble Benches enhances the beauty of the gardens and its surroundings. These are offered in comprehensive designs and styles and are offered with perfect polishing to make them resistant to corrosion. We also meet customized requirement for our clients benefit. Our company has mastered the art in offering Stone Chair to the clients. This product is manufactured by using highest grade stone that is procured from the trusted vendors of the market. This product is cross checked on utility and strength parameters to ensure that none of the parts are flawed. Application: Home, Park, Temple and Garden etc. Being a leading firm in this industry, we are deeply engaged in offering a high-quality range of Stone Chair. We are providing following types of gargen sets in polished, horn, flaming etc at competative rates. 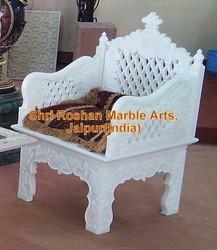 Sandstone chairs are available in quality finished. 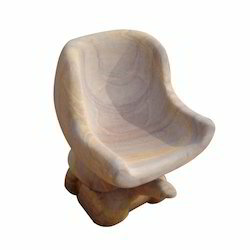 Sandstone chairs are manufactured by different kind of sandstone. One can furnish their home from a wide selection of quality sandstone chairs.